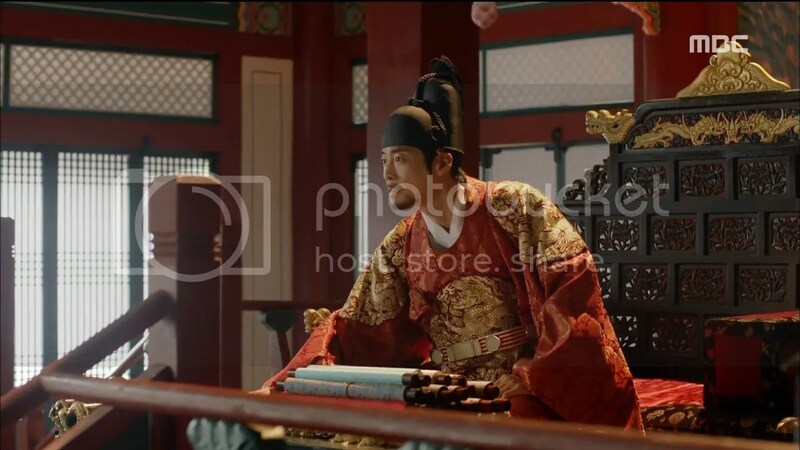 The drama follows the story of Princess Jung Myung (Lee Yeon Hee), the daughter of King Seonjo, as she witnesses the tumultuous history during the reign of 3 generations of kings. 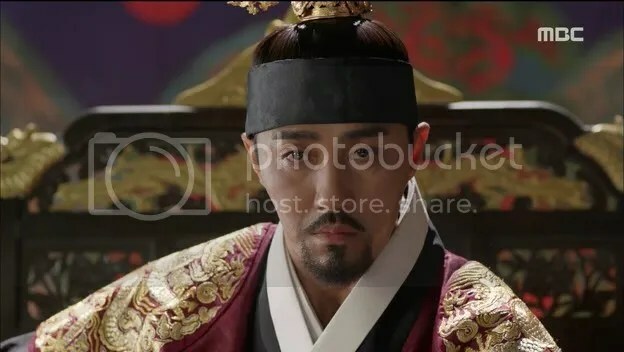 After the death of her father, the faction loyal to Gwanghaegun (Cha Seung Won) believed her family, especially the young Prince Youngchang, to be a threat to his power. She escapes an assassination attempt on her life to Japan only to return years later with the help of Hong Joo Won (Seo Kang Jun). The drama’s plotline veers vastly from the history so I just want to discuss on some facts I’ve discerned from my readings of this era. Rather than running away, Princess Jung Myung and her mother was exiled from the palace during Gwanghaegun’s ascent to the throne. Although she disappeared for a time, it’s not clear where she disappeared to. 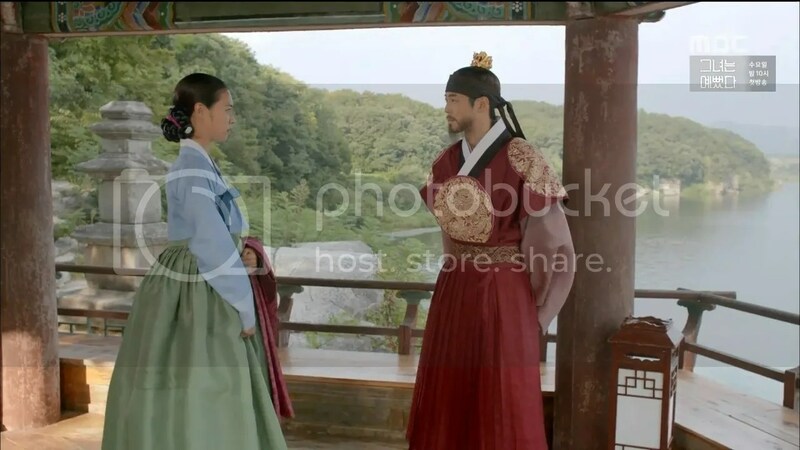 She does return later during Gwanghaegun’s reign but she does not outwardly challenge his position as king. 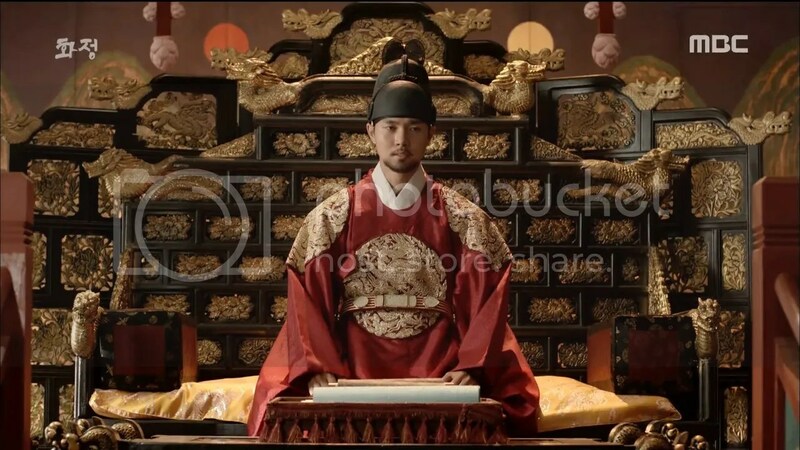 When King Injo (Kim Jae Won) takes the throne in a coup, he reestablishes her family back into the palace. King Injo’s supporters were suspicious of Jung Myung’s intent so she took upon learning how to needlepoint and other wifely duties to prove that she had no interest in politics. She does get married to a man named Hong Joo Won, who followed his father into politics. Together, they lived a long life together and had 8 kids throughout their lifetime. 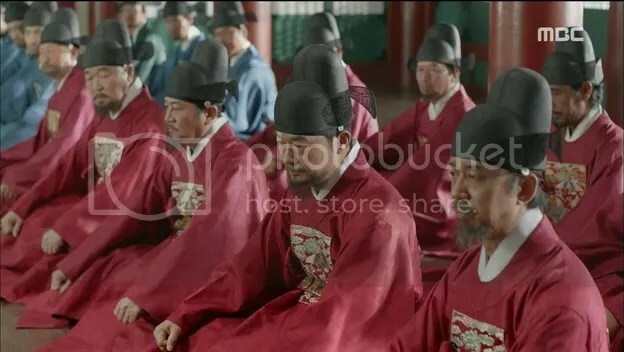 He was involved in many of the important events of the time, especially conflicts concerning China’s Ming Dynasty and Manchuria that’s depicted here in the drama. 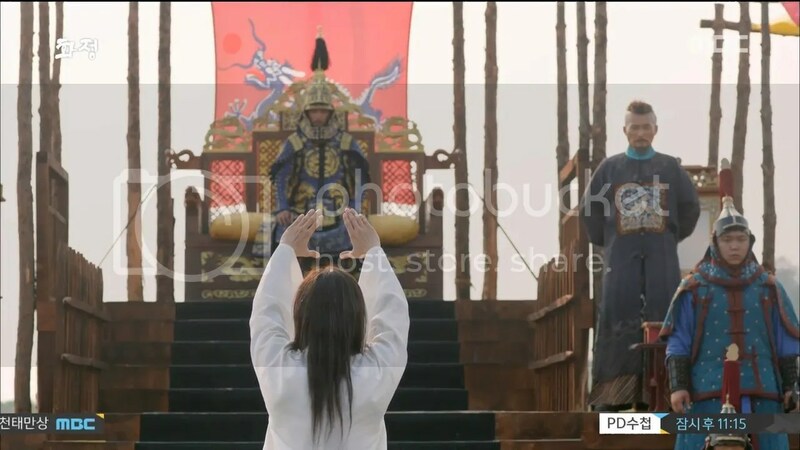 However, King Injo only decided to elevate Hong Joo Won’s status when Jung Myung’s mother, Queen Inmok, fell ill in order to appease her mood. 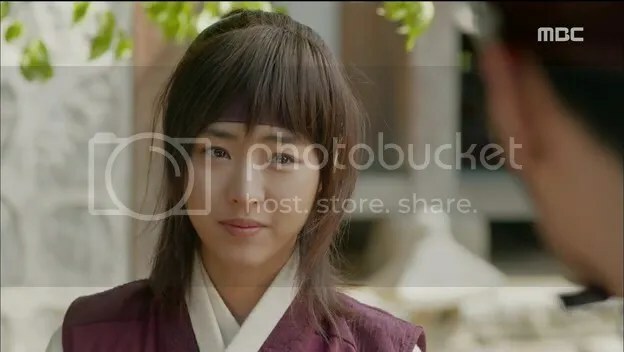 I think it’s safe to say that the real Princess Jung Myung wasn’t all that involved in politics but as history at the time is so often seen from the man’s point of view, it was refreshing to see how the drama covers this era through her eyes. 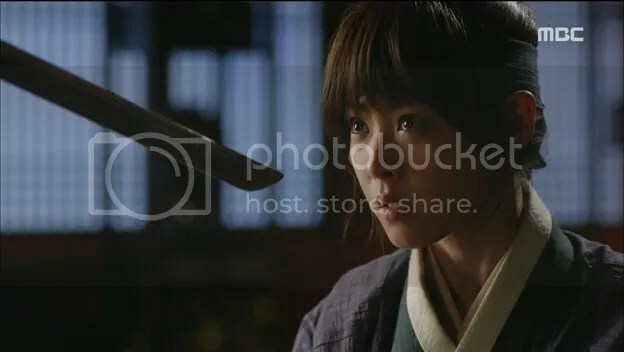 Although many viewers may find Lee Yeon Hee’s acting lacking in many ways, I can understand where they are coming from as she can be inexpressive. 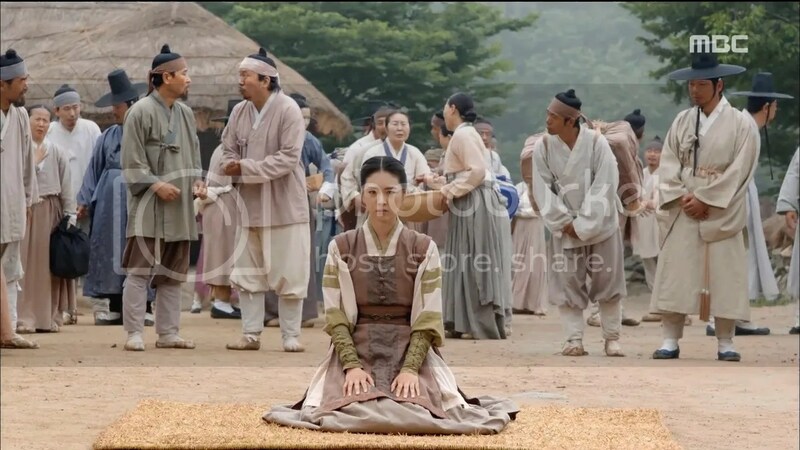 However, considering that Jung Myung in the drama had to show that she wasn’t a threat to the ruling power but work behind the scenes to support causes of the poor and the weak, her impassive demeanor seems fitting for the role. While she and Seo Kang Joon seemed to be on the same acting level in that I think they still have a lot to learn, I really liked their warm chemistry as a couple. Adding to their chemistry, there’s Han Joo Wan who plays Kang In Woo, Joo Won’s best friend since childhood and his rival for Princess Jung Myung’s heart. 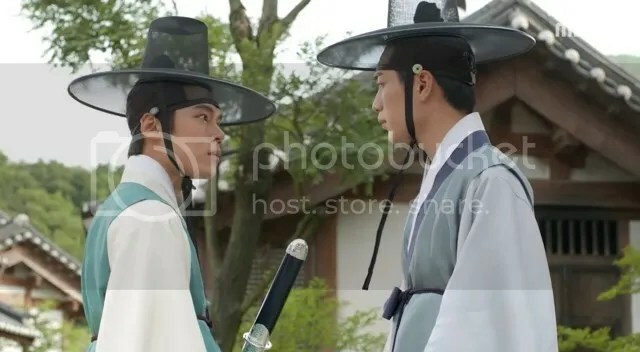 There is one significant conversation that sums up In Woo’s character as he laments over why Jung Myung might choose Joo Won over In Woo. While they are both concerned about Jung Myung’s dangerous choice to challenge the aristocracy, the big difference between them is that Joo Won allows her to make her decisions because Jung Myung is simply a person who wants to help the poor and that’s the person he loves. Unfortunately, the person at the head of that aristocracy is the king. And yet, both Gwanghaegun and King Injo are weak in many ways as the factions have the power to influence them rather than them ruling the country. Gwanghaegun was an unpopular king at the time due to his progressive views but history seems to view him in a positive light. 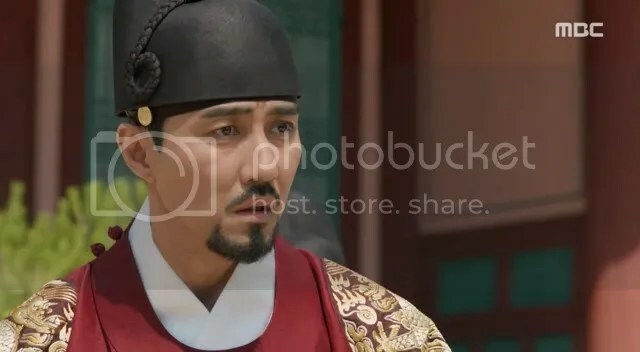 Cha Seung Won does a decent enough job in depicting the dichotomy of his character but the drama does an inconsistent job of depicting the shift in relationship between him and Princess Jung Myung. She has every reason to feel betrayed and want revenge but the drama isn’t clear on where the turning point of trust occurs in their relationship. I think here is where the departure from the real story caused a hole in the story. 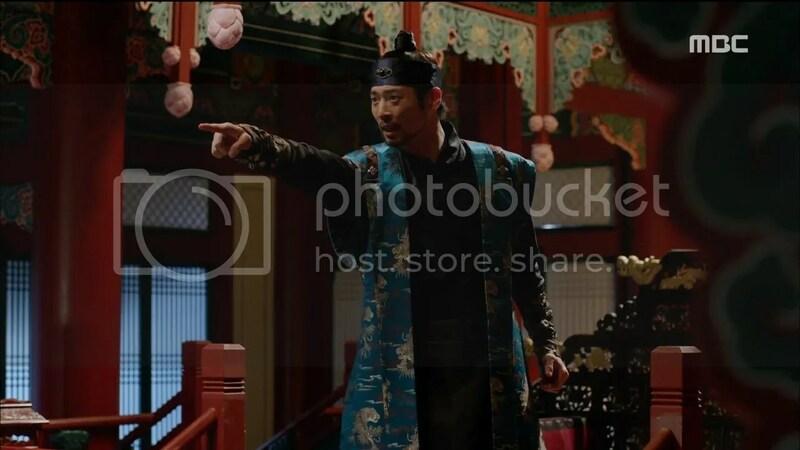 On the other hand, I love that the warnings of both Gwanghaegun and Princess Jung Myung served as foreshadowing of King Injo’s reign. Kim Jae Won does a great job in playing up his insecurities and paranoia so much so that I couldn’t see the Actor Kim Jae Won, who I’m used to seeing play the beloved protagonist rather than the antagonist. I was especially compelled by the scene in which King Injo loses in the war against the Manchus and is forced to bow ceremoniously to the Emperor nine times. It’s this humbling experience that seems to change him for the rest of his reign. 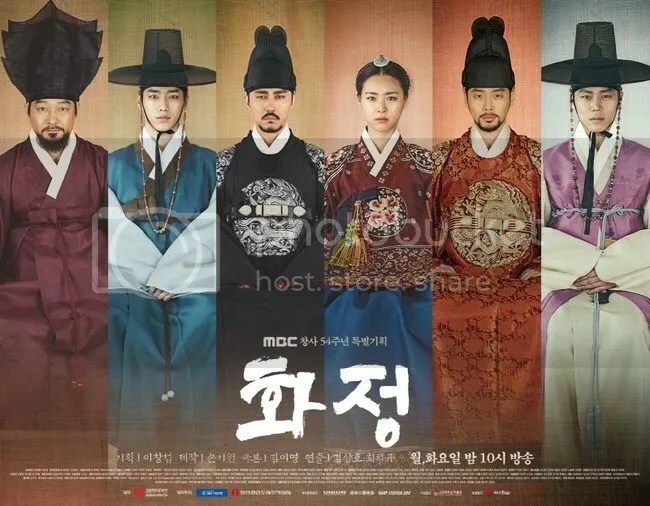 Aiding Lee Yeon Hee and Seo Kang Joon in this drama is the big supporting cast of veteran actors who play the court officials who influence the king and the country’s policies and the gunpowder factory associates who serves as one of the reasons why Princess Jung Myung and Hong Joo Won refuse to back down. More than the main three leads of the drama, they carry a lot of the drama by bring a lot of emotional weight. 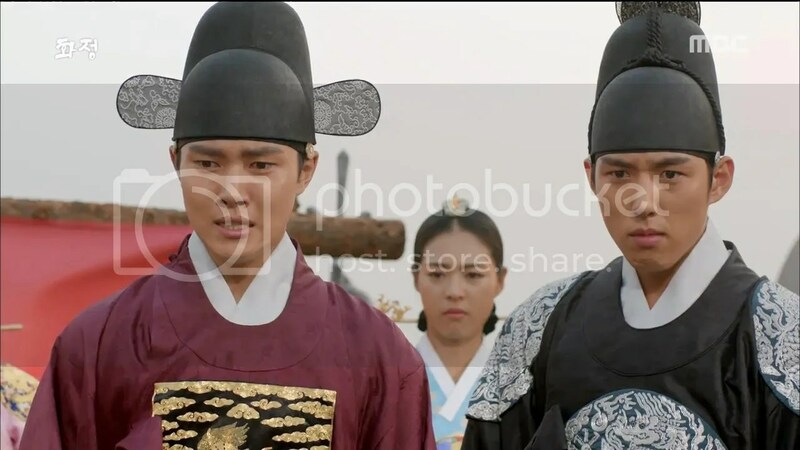 It’s an epic drama that covers a lot of history and written in a very traditional way. Young audiences may be drawn to the younger cast members of the drama but it’s the supporting characters that really carry the drama. There are parts in which the drama gets repetitive but the story does have a clear direction as it has the actual blueprint of the time that serves as the drama’s blueprint. While not every episode of the drama left me on the edge of my seat, there was enough there to carry me all the way through the story. I am writing a story set in this era. 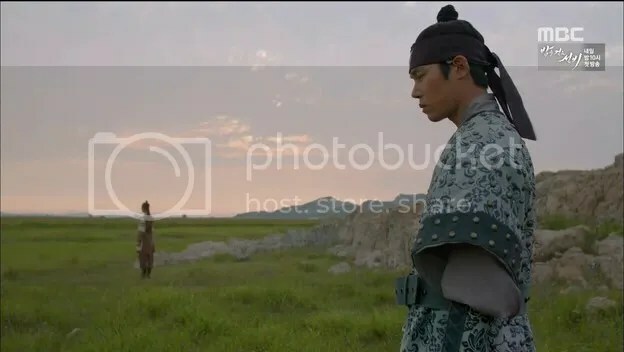 Just wondering if Princess Jeongmyeong’s husband Hong Joo-Won was still alive in 1640? If so what sort of clothes would Princess Jeongmyeong have worn at this stage in her life? If she wasn’t a widow wearing white then what colours would she have worn at age 37? Would she still have worn red and navy blue, or would she have been restricted to those pale colours that older Korean ladies often wear? I know she was a great embroiderer, so I want her clothes to be beautifully embroidered (and the clothes of her secret niece). 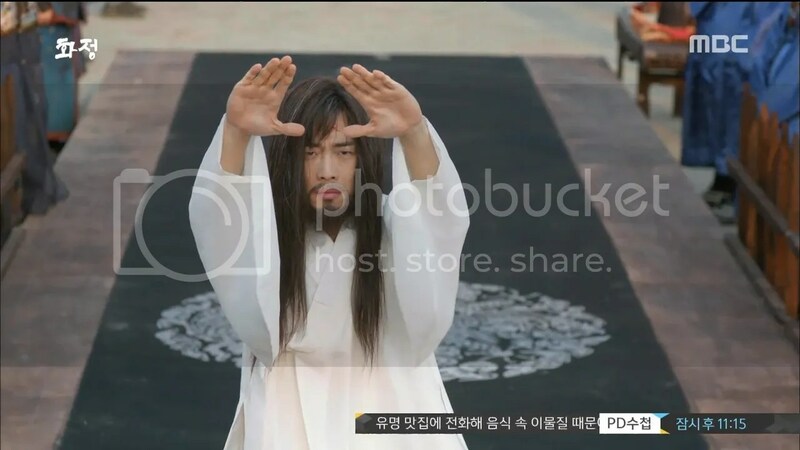 According to the records that I found, it seems like Hong Joo Won passed in 1672 and Princess Jeongmyung passed away in 1685. I would assume that she would be wearing white after he passed. I recall reading somewhere that she didn’t go to the royal court in her later years as I believe she wanted to stay out of politics out of respect for the king. 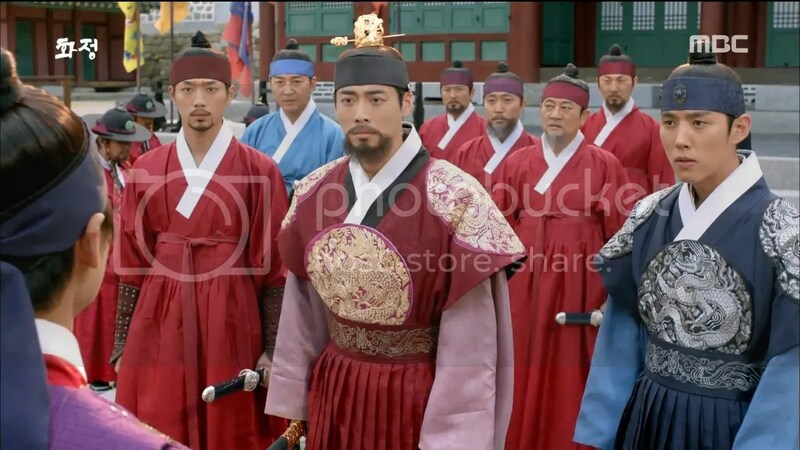 I cannot comment on the designs that were popular at the time and certainly dramas today have modernized the hanboks you see on-screen. However, I’m hoping that this lecture I went to a few years back might be of some help to you. 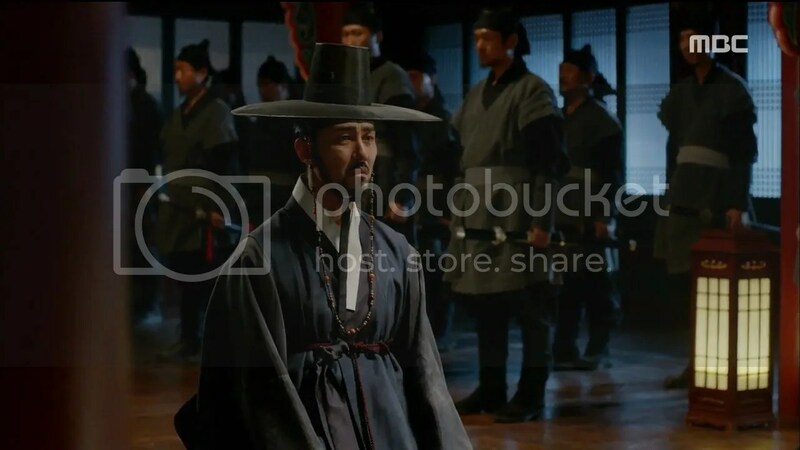 The speaker was previously a costume designer for numerous KBS period piece dramas.